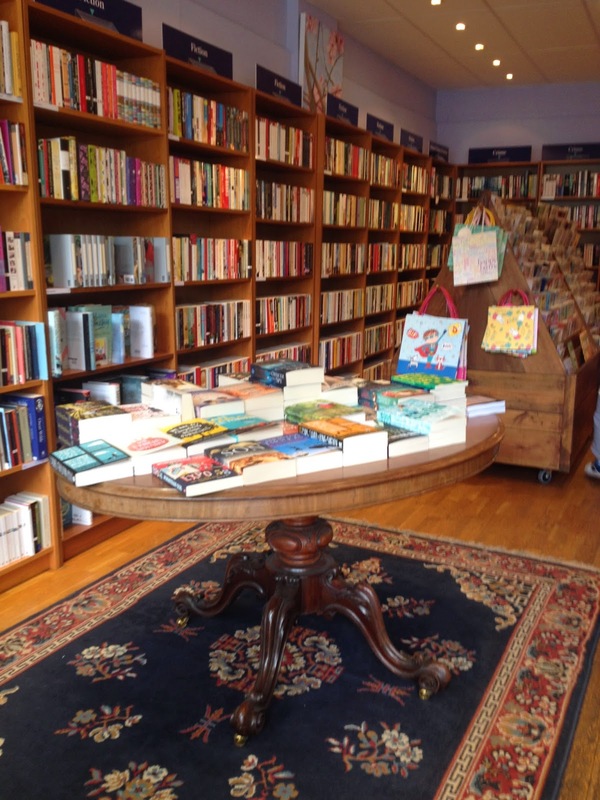 Readers all over the country recently participated in a bookshop crawl as part of Independent Booksellers Week 2014, and as last week's blog followers will know, I was one such crawler. But what I didn't tell you in my rundown of the day, was how much of a struggle I found the start of my bookshop crawl. Sure, I was enthusiastic, I had my list of places to visit and I couldn't wait to see what I might find, but I was also just a little fragile. Because, on top of a rather hectic week at work, the night (and day) before I'd been to Ealing Beer Festival. And so I'm ashamed to admit that as I entered my first destination I didn't really have the energy for the full blown bouncing around with excitement you'd expect from me at the sight of a bookshop. Thankfully, The Pitshanger Bookshop in Ealing was the perfect place to gently wake me up: homely and welcoming, with warm furnishings that wouldn't look out of place in a residential library, its welcoming atmosphere allowed me to ease my way into my bookshopping day. Wandering around the shelves, I was soothed but still struggling, as I failed to make my mind up on my choice of book. Witnessing a steady stream of customers flowing through the shop talking books, collecting orders and, crucially, thanking the booksellers for previous recommendations, I saw an opportunity to ask for help. I'd picked up something by an author I love, but wasn't sure if it was quite what I needed at that moment: a big book to lose myself in, from my hangover and a busy time at work; something both absorbing but also to help me switch off from the world. I'm nothing if not demanding. Thankfully the staff at The Pitshanger Bookshop were knowledgeable - and polite - enough to admit my selection perhaps didn't quite meet my requirement and had I considered these titles instead... Just over a week after my visit I can tell you their recommendation was spot on as I'm now thoroughly engrossed in The Goldfinch by Donna Tart, my only problem being that I'm struggling to put it down. With a book in my hand, and the friendly words of the booksellers in my ear, my enthusiasm and energy were restored. I was ready to face the day.